The 2020 event is on! Please visit http://rowtimer.com. There you will be able to see the draw, and watch the times of crews as they progress down the course. Results will update live so you can tell when the race has started, and how far your crew has gone! The draw for the 2018 Head of the Severn can be downloaded here or viewed below. The draw can also be viewed through rowtimer.com. The draw has now been finalised. Where there may be speed differences between crews, starters will be leaving gaps. Where insufficient crews have been entered to create an event, crews have been grouped into reasonable groups to create an event. E.g. J16 and J18 crews. However, where this would not be reasonable (e.g. J18 and Elite) this has not been done and events consisting of only 2 crews have been permitted. The original entry status of the crew has been retained on the draw. 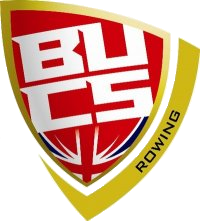 Masters crews - please see this page for details of the Masters Challenge! This year, Stitch Rowing Clothing are sponsoring the new medals that we are offering to event winners! We are very grateful to M&M Meats for their continued support of our event. They help us provide a high quality barbecue to our competitors and spectators at great prices! Please contact us if you would like to sponsor a category, or the event! The 2019 event is on!